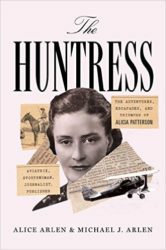 A biography of Alicia Patterson: Aviatrix, Sportswoman, Journalist, Publisher. ...a pleasantly rambling mixture of family chronicle, biography, and cultural history ... [the] prose is amiably meandering and conversational, each page a cascade of digressions and asides that are just as engaging as the main storyline itself. This biography moves Alicia Patterson’s legend beyond the realm of family lore and establishes her as a singular and inspiring figure in 20th-century American history. ...a vivid and entertaining biography ... The seamless collaborative authorship of The Huntress has produced the best of all possible results. On the one hand, it is obviously a labor of love, a tribute, although never an intrusive one, to a revered aunt who died when Alice Arlen was in her early 20s. 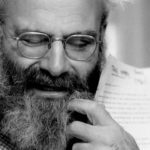 On the other, it is a dispassionate, though engagingly written, biographical chronicle. What did you think of The Huntress: The Adventures, Escapades, and Triumphs of Alicia Patterson?